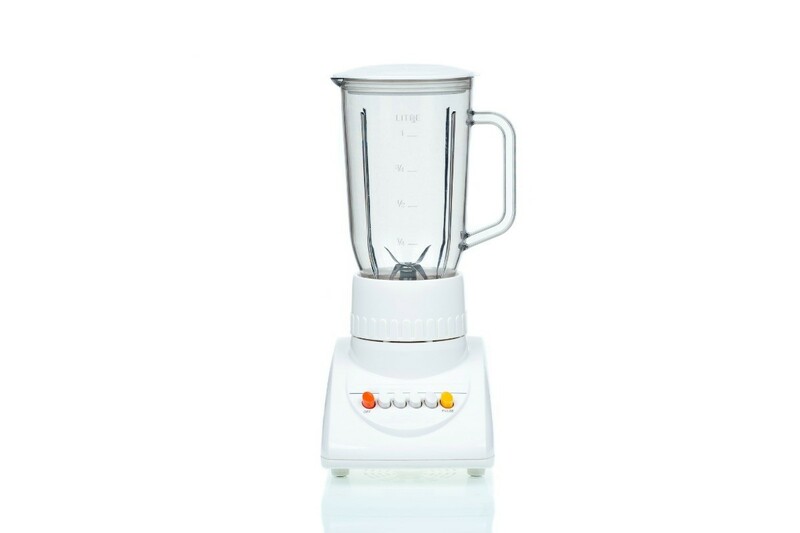 The buttons on blenders and other small appliances can get very dirty over time. This guide contains tips for keeping blender buttons clean. I keep several sizes of cheap paint brushes in the kitchen. I use them for different purposes. One is to clean between the push buttons on my blender. I dip the tip of the brush in clean sudsy water, shake it almost dry and then go around and between the buttons. This works well, but I'd rather not do it, and also, I think I'll eventually wash the writing away. I solved that problem by placing a freezer bag over the buttons and tucking the bottom of the bag under the front feet (just being sure I don't block the motor vent underneath). With an inch of Scotch tape, I secure the top of the bag to the blender. Now, if I'm careful, I may never have to wash the buttons, again. If you don't have a bag that will fit, you could use a piece of cling wrap. Whichever you use, you could leave it on if you use your blender a lot. Or like me, take it off when finished with the blender as I seldom use it. To keep food particles from getting trapped in and around the buttons on my blender, I cover them with a plastic sandwich bag and secure it with transparent tape. When the bag gets worn out, I just throw it away and replace it with another.